Global ECU remap leader Superchips has introduced a conversion for the Audi RS3 model that improves the already-exceptional performance even further. Using a turbocharged version of the 2.5-litre EURO6 petrol engine, the latest 8V RS3, running on Bosch engine management, leaves the factory with an impressive 367PS. However, following careful development, the Superchips remap adds a very useful 54bhp at 5851rpm and a superb 90Nm torque at 4276rpm. Not only does this enhance the RS3’s already lively performance, it improves drivability in more normal, day-to-day use. 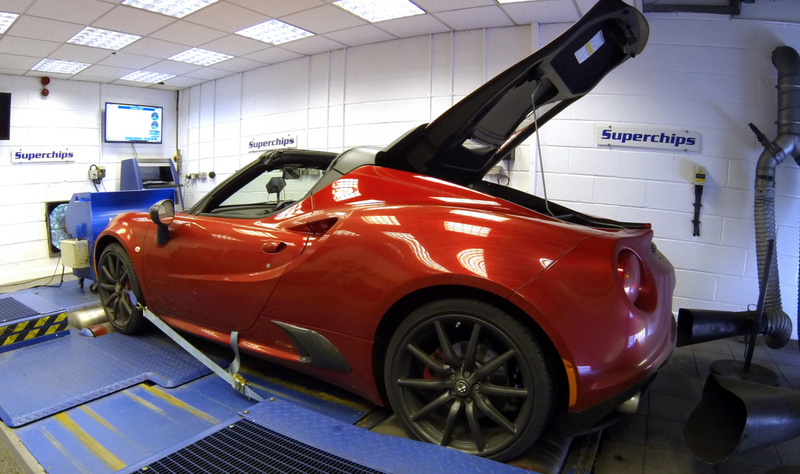 And the Superchips remap smoothes out a gradual dip in the original engine’s torque curve, so the remapped engine not only gains torque but also, better delivery. The conversion can be carried out by owner themselves, using Superchips’ Bluefin device, at a cost of £499 including VAT. With a Bluefin, users don’t need any mechanical or technical skills, simply plug the Bluefin handset into the diagnostic port (connecting to the vehicle’s Electronic Control Unit) and follow the on-screen instructions, then plug in to a PC to communicate with Superchips HQ. Alternatively, it can be performed by one of Superchips’ highly skilled nationwide dealers, at a cost of £399 including labour and VAT.